AOMUU Facial Scrubs pad is built with three different structure of bristles to ensure a gentle but dense skin and pores clean. 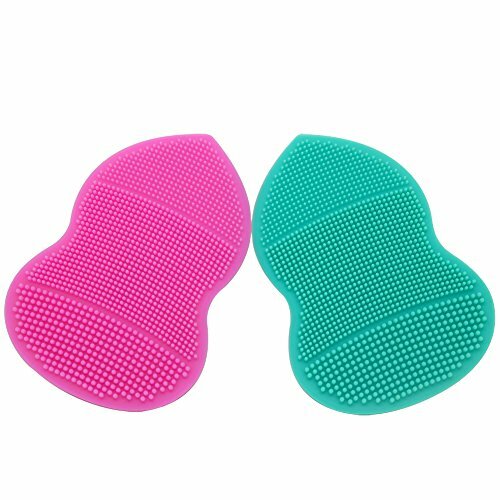 It combines the 4 functions of facial cleansing, blackheads removing, exfoliation, massage, make your skin more smooth,and relieve the redness caused by acne. Helps soften the skin, promote facial blood circulation, improve skin absorption of cream, serum, moisturizer. Made of food grade silicone material, super soft not to hurt the skin. anti-oxidation, and durable. Silicone suction cup on the back is easy to handle and place.